revealed by Professor Brian Cox, a scientist and astronomy researcher from the School of Physics and Astronomy at the University of Manchester. Citing information reported by Daily Mail, Cox said that the Earth could have suffered almost doomsday event. The event here is not referring to the sound of the trumpet phenomenon that occurred some time ago, but refers to the events of the asteroids that can cross paths with the Earth. In March, there is a known bus-sized asteroid named '2014 EC' in a distance of about 61,637 km from Earth, or about one-sixth of the distance between the Moon and Earth. 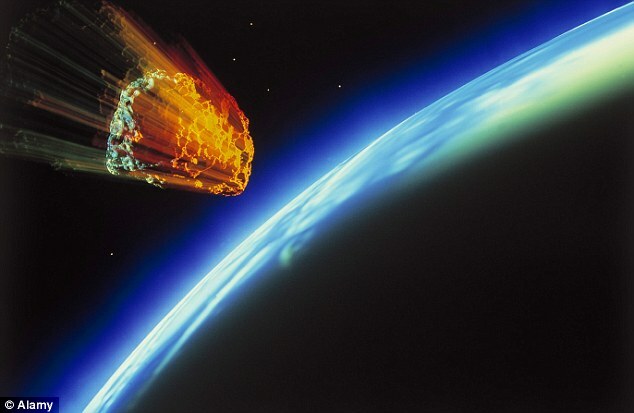 In fact, the asteroid is claimed is not the only asteroids that threaten the Earth. The National Aeronautics and Space Administration (NASA) has recently also is tracking the whereabouts of 1,400 asteroids that could potentially endanger the future of Earth and is expected to reach the Earth as well as providing terrible impacts on the planet. Serious threat of the asteroids that caused apocalypse on Earth has also been described by a former astronaut, Ed Lu. He described the asteroid as a cosmic roulette, and that can make the human race can survive serious impacts just a 'blink of luck'. At least there are about one million asteroids life near the Earth, even, could be the presence of millions of asteroids is able to threaten the Earth. The authentic evidences of the asteroid phenomenon shown is when unknown object exploded over Chelyabinsk, Russia, with the force leveled 20-30 times of the Hiroshima atomic bomb. This is a shocking incident occurred after the Tunguska event in 1908. The Tunguska is extensive damage to forests in Siberia after an unidentified object entering Earth's atmosphere.